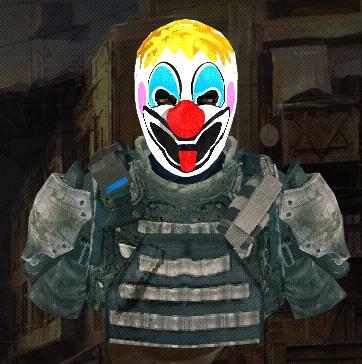 During the community event at PAX, we hinted at a feature that would allow you to create custom face mask and armor designs for Army of Two: The 40th Day so you can give Salem and Rios their own special flair. EA announced yesterday that the Custom Mask and Armor Creator is now live and everyone's free to make a mask that makes the co-op friendly heroes look like your worst childhood nightmare. The Custom Mask and Armor Creator is based off the same web-based art tool that was used for Skate 2, and which will undoubtedly return for Skate 3, so all you need is a valid EA.com account and your time/creative juices. Best of all, the designs you create now will be available to you the same day that the game goes live in January. So go get cracking on those custom masks and armors, and be sure to share your designs with us!